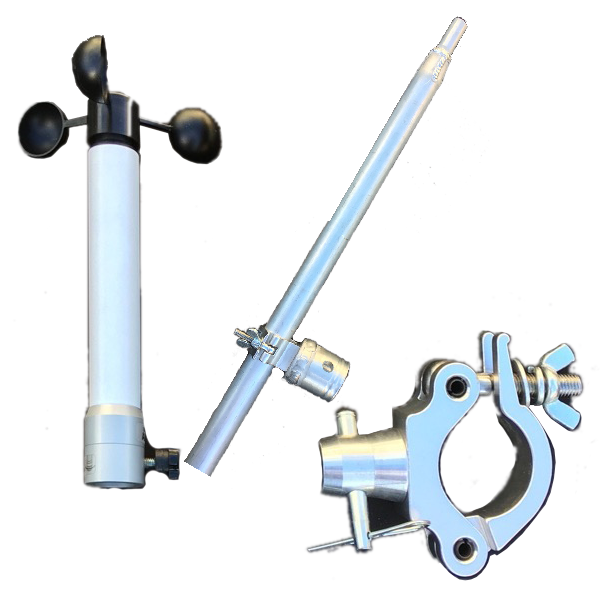 This smartphone anemometer consists of wind speed and direction sensors which wirelessly transmit real time wind and temperature data to any smart phone or tablet. 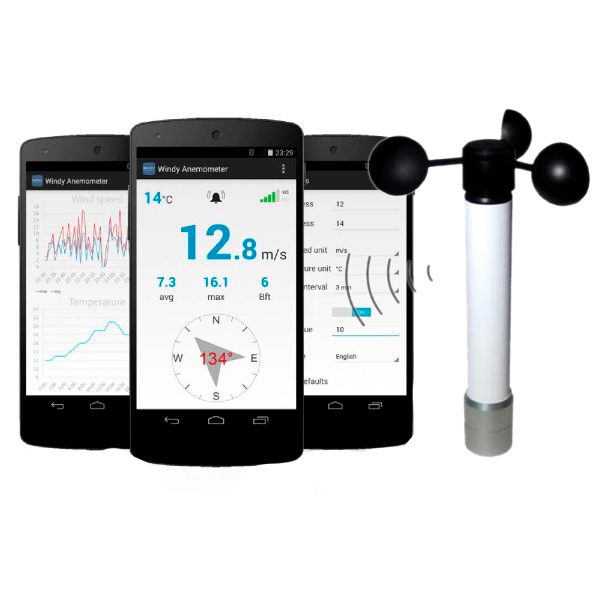 With free Apps you can read instant data of current, average and maximum wind speed, wind direction, temperature and even view history graphs too! Displays current, average and maximum wind speed and more! Unit supplied in a foam lined Peli type plastic storage box, fixing brackets are universal aluminium with 1.5m 32mm mounting pole.